Several years ago I was fortunate enough to step off a train in early May into the amazing town of Zermatt, Switzerland. The magic of having a mountain like the Matterhorn staring down on you is only a part of the wonder. I noticed fields of yellow, the green grass sparkling with beautiful, fluffy flowers. I will never forget how incredible the fields looked. I wondered why, in the states, are we so fond of weed killer? And why in the world are we so against this friendly looking flower? After all, when we let them live out their lives unharmed, they reward us with summer wishes. They let us blow away our unwanted worries and pour our hopes into them as we hold their stems, close our eyes, purse our lips, exhale and wish. This is only the beginning of the benefits of this humble plant. 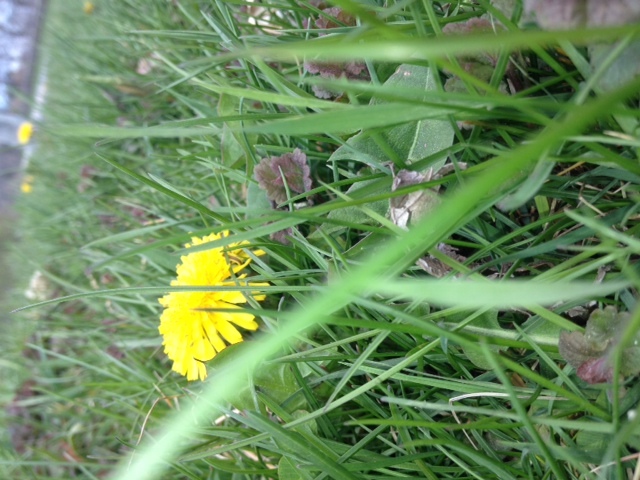 The health benefits of consuming dandelion include relief from liver and gall bladder disorders, diabetes, urinary disorders, acne, jaundice, cancer, and anemia. It is rich in Vitamin A, C, iron, calcium and has properties for detoxification. So the next time you get out the pesticide spray, rethink this amazing flower, its roots, and greens. For all have different properties that can help heal you. Me? Well, I’m taking my advice and consuming dandelion root tea and I’ll be having a dandelion salad for dinner.